The Legacy of Fairbairn and Sutherland provides the first comprehensive review of W.R.D. Fairbairn and John Sutherland's theories on psycho-social development. 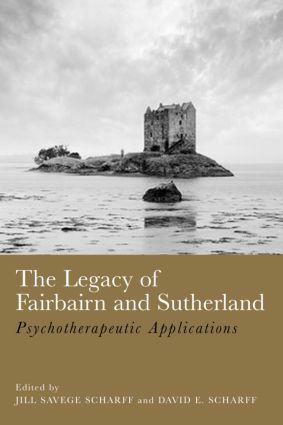 It reviews Fairbairn and Sutherland's ideas, traces the philosophical roots of their thinking, explores their legacy, and demonstrates their relevance to contemporary practice. International contributors set these psychoanalytic theories in their philosophical and cultural context. They discuss the growing acceptance of Fairbairn and Sutherland's work in Europe and the Americas. They discuss the theories' impact on current thinking in subjects such as sexuality, hysteria, autonomy and repression. They re-examine the theories in the light of current clinical experience, illuminate them with reference to contemporary psychoanalytic theories and illustrate them with examples from work with children, adults, groups and families. This book presents an original fusion of the ideas of two of the most noteworthy figures in recent psychoanalysis. It will prove fascinating reading for all practicing and training psychotherapists and psychoanalysts. How current are Fairbairn’s ideas on hysteria?